This entry was posted on October 24, 2015 by admin. We've had several people ask if load bolts are a useful method of strengthening ring gear teeth. The answer is that load bolts are NOT helpful for off road vehicles. Furthermore they mislead users into thinking they’re protected if their housing is so equipped. This is why Dynatrac’s focus has always been on designing a highly rigid housing as the best way to ensure gear strength and durability. Spend your money on a US-made ProRock, and not a load bolt gimmick. Ring gear deflection of just .003” is enough to deviate the gear pattern significantly. A load bolt will quickly wear away even when it is bathed in gear oil. In order for the load bolt to resist any ring gear deflection it must be positioned on the outer edge of the ring gear. This is where “surface feet per minute” is the highest between the load bolt tip and the ring gear during rotation. Combined with high pressure, this means the tip is doomed after even brief contact with the backside of the ring gear. The tips on load bolts are usually made of a hard bronze material. This tip may last a few seconds on a drag strip, but unless you plan to stop and adjust your load bolts after every off road mile or you climb every obstacle, they are useless once they wear down just a few thousandths of an inch. Even if you have 2, 3 or more load bolts, the result will be the same. All that said, load bolts have come from the drag racing world where they can actually be useful. 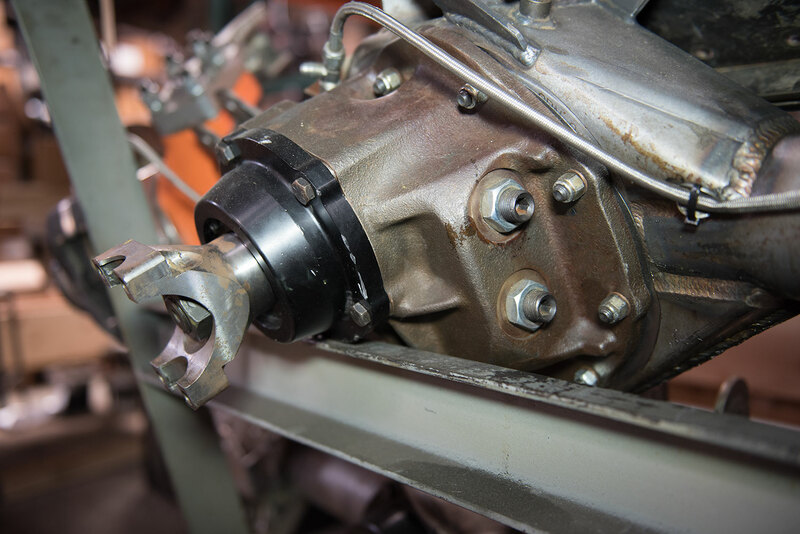 On a drag car, the load bolt offers momentary ring gear support for the initial explosion of torque when the light turns green. However, it is no longer in play as the car leaves the concrete launch area and progresses down the drag strip. 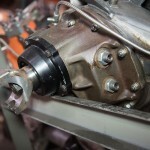 After each drag race the load bolt will be adjusted properly in the pits. This effort is nothing compared to the complete engine rebuilds that routinely occur between drag race heats. No off road vehicle in the world will ever get that kind if repetitious service.